Timber Creek High School students spent the 13th anniversary of the Sept. 11, 2001 terrorist attacks remembering the tragic loss of life and reflecting on our nation’s status in the world. Special presentations in history, journalism, and other classes highlighted how the event shaped the past. TCHS Student Council members lined the sidewalk in front of the school with American flags hours before the sun rose. 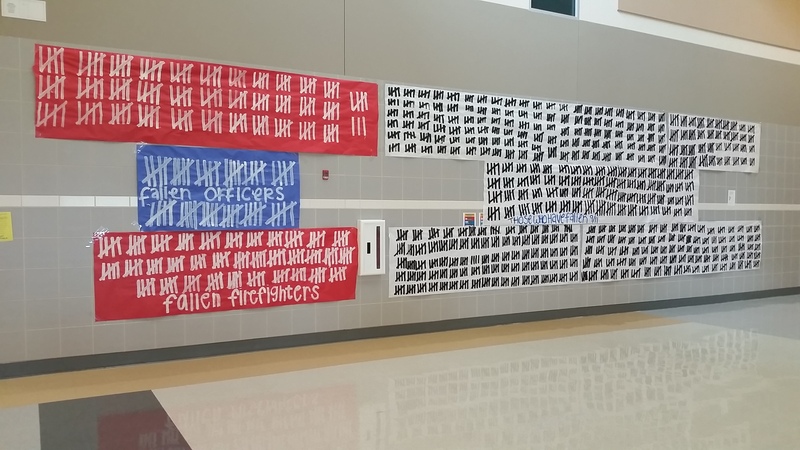 Members also created the tally marked banners posted across from the cafeteria (seen above), which detailed the thousands that lost their lives in the attacks. Students used the hashtag #tchsremembers to display their photos and reflections about the event.